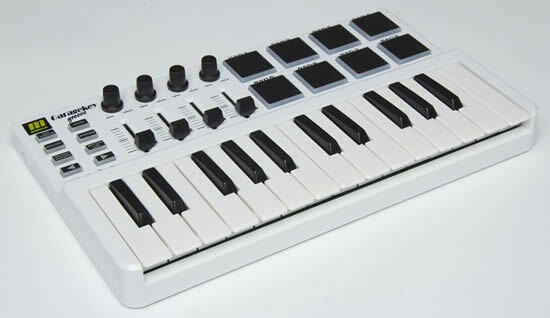 Keys, Fader, Drumpads, V-pots - all inclusive at the new Miditech Garagekey Groove! You will miss nothing! For the best groove the Miditech Garagekey Groove is shipped with a large software package (download versions) - Magix Samplitude Silver, Toontrack EZ Drummer Lite, Makemusic Finale Notepad, IK Multimedias Amplitube CS and Imagelines Poizone Synthesizer.